Bergen Aquarium The Bergen Aquarium offers one of the largest collections of North Sea fish and invertebrates in its more than 70 Aquariums. Species from all over the world help to create an exciting presentation of marine life. 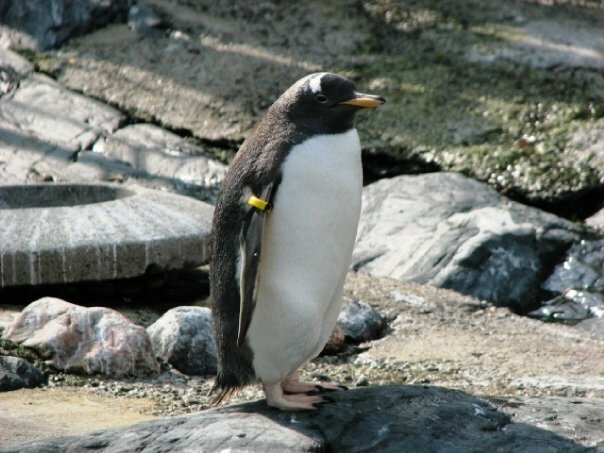 You can also study a variety of seals and penguins in the outdoor ponds. 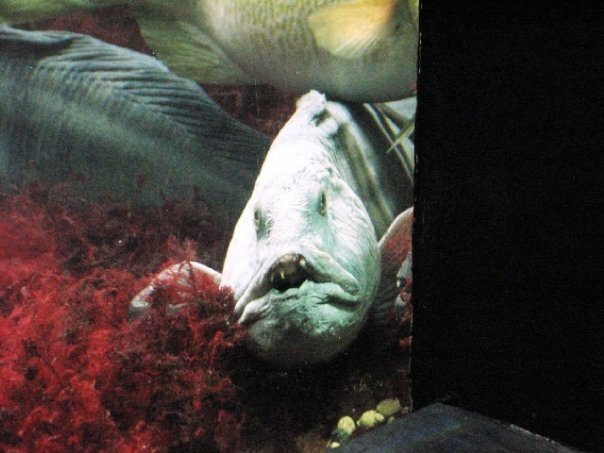 The Aquarium also has an extension containing a realistic nesting cliff and a multi-screen film; "The Aquarium - Bergen and the local coastline". Take the funicular in Bergen to the look-out point on the Fløien Mountain. ----- Bergen is surrounded by seven mountains and the funicular climbs 1,000 feet to the steepest of them. GORGEOUS views! This beautiful Swiss-style house was built in 1884-85 and has an amazing view over the water. 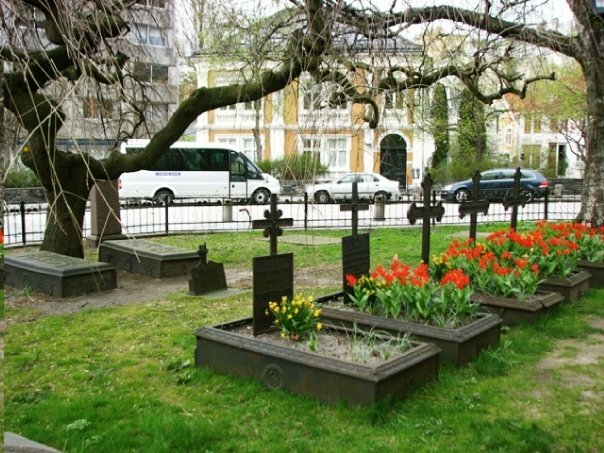 Every summer, from 1885 until his death in 1907, Edvard Grieg lived and worked here, touring Europe with his wife Nina during the winter months. He was much in demand all over the world, both as a pianist and a conductor, and became Norway’s foremost ambassador for the music of his times. Thanks to his own music, which still has a huge audience all over the world, Grieg’s status as ambassador remains undiminished. During his many travels Grieg never failed to express his love of longing for Troldhaugen. Today Troldhaugen is a living museum, consisting of the Edvard Grieg Museum, the house, the composer’s cabin, the tomb and Troldsalen. The Troldsalen concert hall seats two hundred. Troldhaugen has been carefully preserved both indoors and outdoors. The interior of the house and the composer’s cabin are authentic, and in the lounge the composer’s own Steinway, a gift on the occasion of the couple’s silver wedding anniversary in 1892, is still used for recitals during the Bergen International Festival and on special, occasions as well as for private recitals. 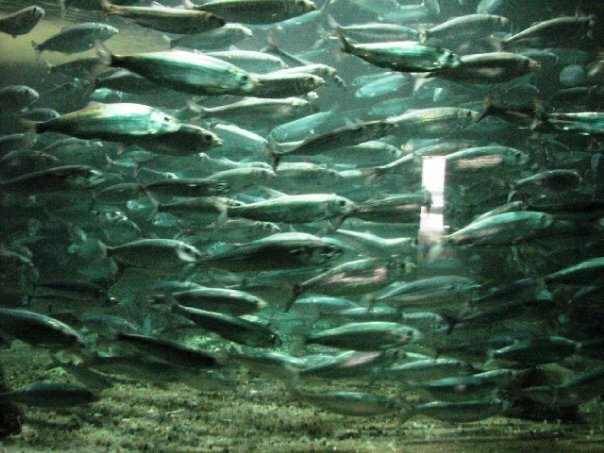 Fish Market dates from the 16th century – here you can buy smoked salmon, shrimp rolls and the perennially popular fish cakes relatively cheaply and keep them for a snack lunch. ----- I loved walking around in the cemetery outside. ----- I had some delicious fish soup here! Rosenkrantztårnet - Rosenkrantz Tower dates back to medieval times. 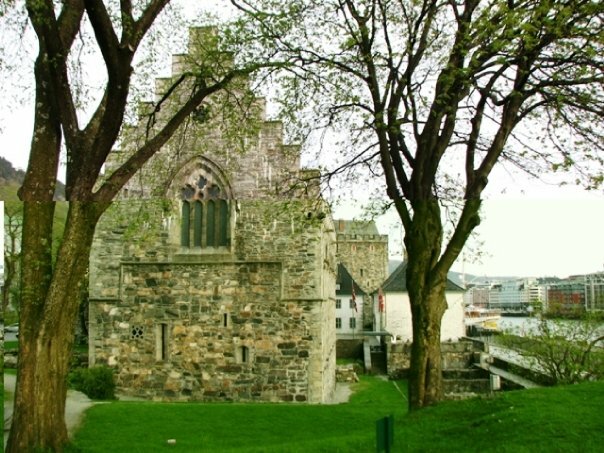 The tower was erected by the governor of Bergen Castle (Bergenhus), Erik Rosenkrantz, and served as a combined residence and fortified tower to Bergen. Earlier structures existed -King Magnus Lagabote’s (Magnus the Lawmender) keep from about 1270 and Jorgen Hansson’s defences from about 1520. Both these were incorporated by Erik Rosenkrantz. The view of the sea front is amazing. You can take a tour of the castle there and learn some interesting stories about life in those days. 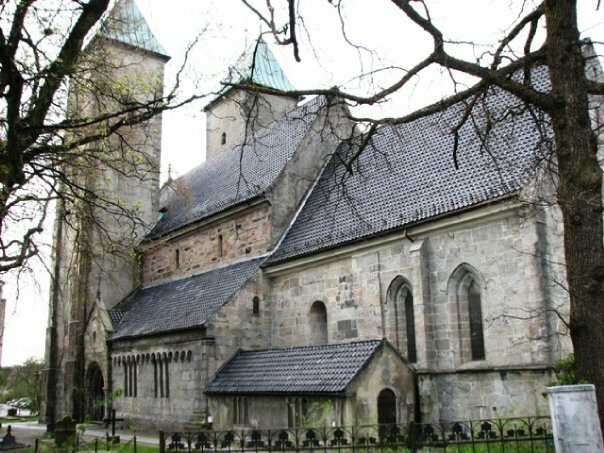 Håkon’s Hall - Håkon's Hall is named for its first builder, King Håkonsson, and was erected between 1247 and 1261. 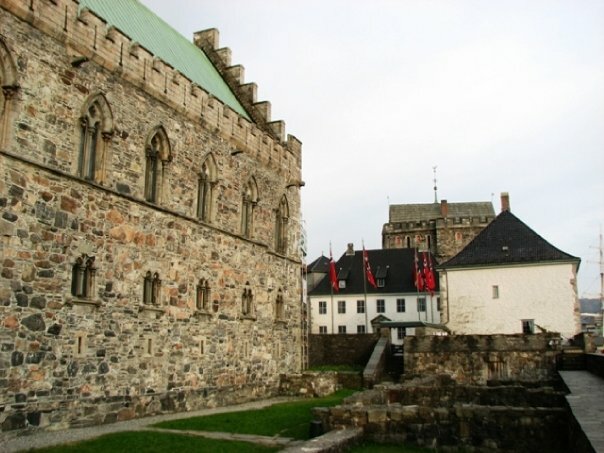 In the latter year it was in use as "The Stone Hall" at the wedding and coronation of King Magnus Lagabøte (the Lawmender), Håkon's son and co-ruler. 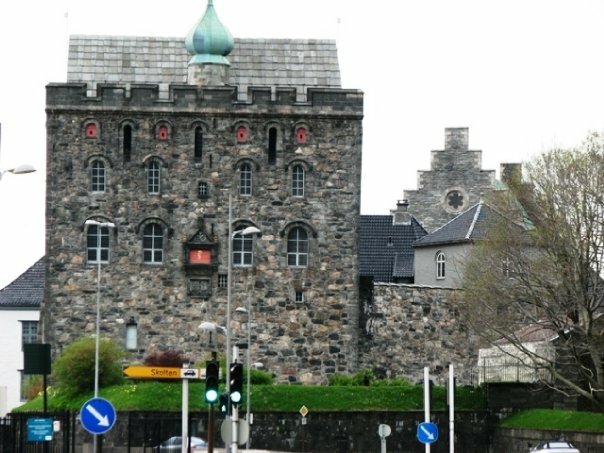 The hall was the largest and most imposing building in the royal residence at "Holmen" (the holm), the political centre of the 13th-century Norwegian kingdom. It was obviously built for the great occasions in the history of the monarchy and the realm, but also for practical daily use. Dinner at Enhjøringen – This was first mentioned in court evidence in 1304, by which time the German merchant, Herman Skult, had already lived there for 50 years; after the fire of 1702, it was rebuilt on its original foundation. Try gravet laks, an aged salmon cured in a traditional way, and served with dill and a mustard-based sauce. ----- We did not eat here but I have had gravet laks other places and loved it. I think we were probably tired after a long day of touring around.